Shantae: Half-Genie Hero is a platformer by WayForward Technologies for the Wii U, Nintendo Switch, PlayStation 4, PlayStation Vita, Xbox One, and Windows. 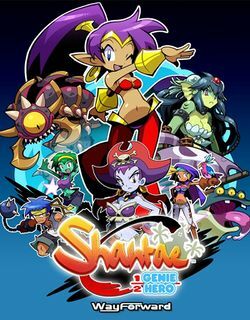 It is the fourth game in the Shantae series, the first designed specifically for consoles, and was funded by a Kickstarter campaign. It was released on December 20, 2016. The Nintendo Switch version was released on June 8, 2017. This page was last edited on 11 June 2017, at 22:09.